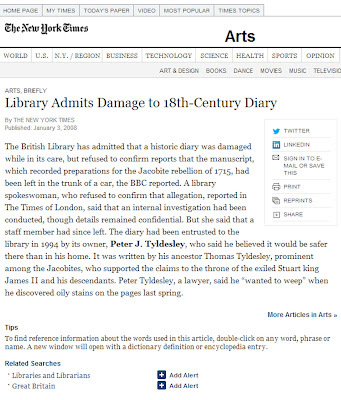 The British Library has admitted that a historic diary was damaged while in its care, but refused to confirm reports that the manuscript, which recorded preparations for the Jacobite rebellion of 1715, had been left in the trunk of a car, the BBC reported. A library spokeswoman, who refused to confirm that allegation, reported in The Times of London, said that an internal investigation had been conducted, though details remained confidential. But she said that a staff member had since left. 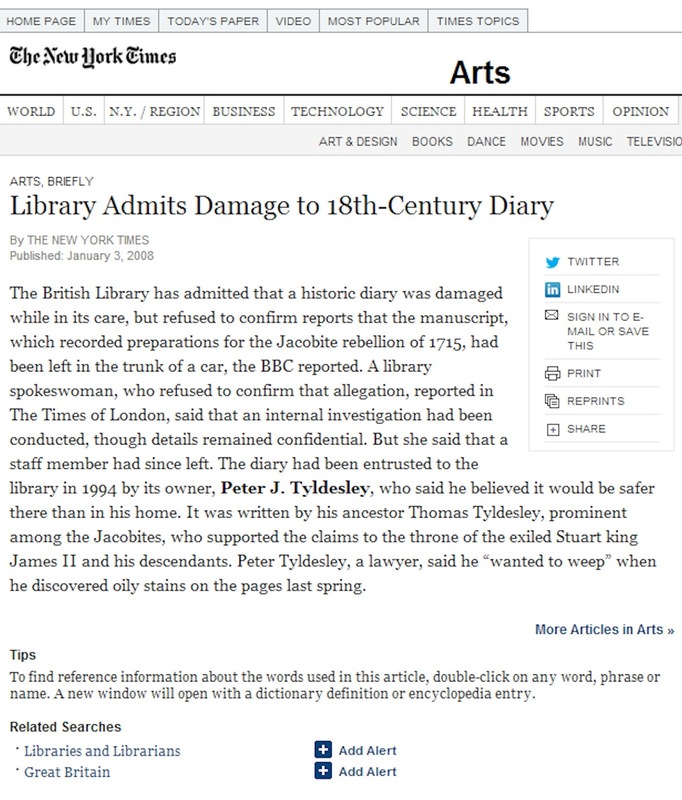 The diary had been entrusted to the library in 1994 by its owner, Peter J. Tyldesley, who said he believed it would be safer there than in his home. It was written by his ancestor Thomas Tyldesley, prominent among the Jacobites, who supported the claims to the throne of the exiled Stuart king James II and his descendants. Peter Tyldesley, a lawyer, said he “wanted to weep” when he discovered oily stains on the pages last spring.